Join us during Bike Month for a 3.6-mile bike ride through the Salishan neighborhood and on the newly paved Pipeline Trail. This route has some rolling hills, but the event is open to riders of all ages and abilities. 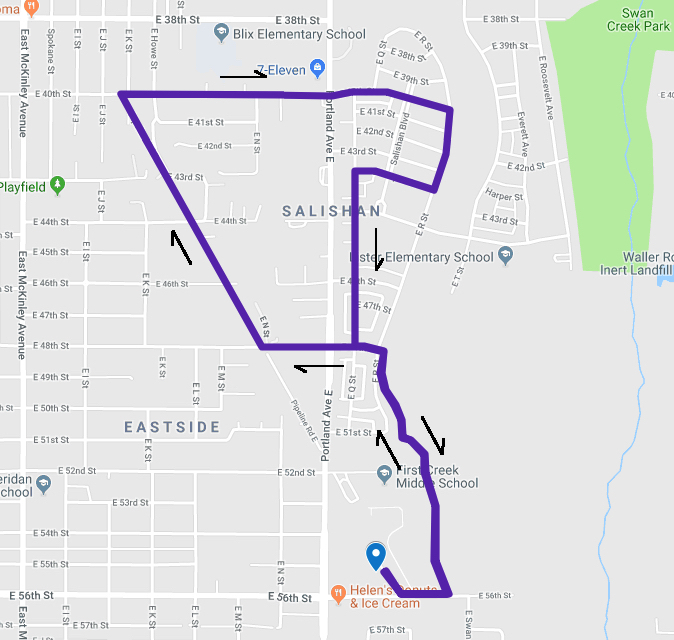 The ride will start and end at the bike rack by the front entrance of the Eastside Community Center (blue dot on the map below.) We usually ride in the street quite a bit, but this route is almost entirely paved trail, ultra-wide sidewalk, and bike lanes. 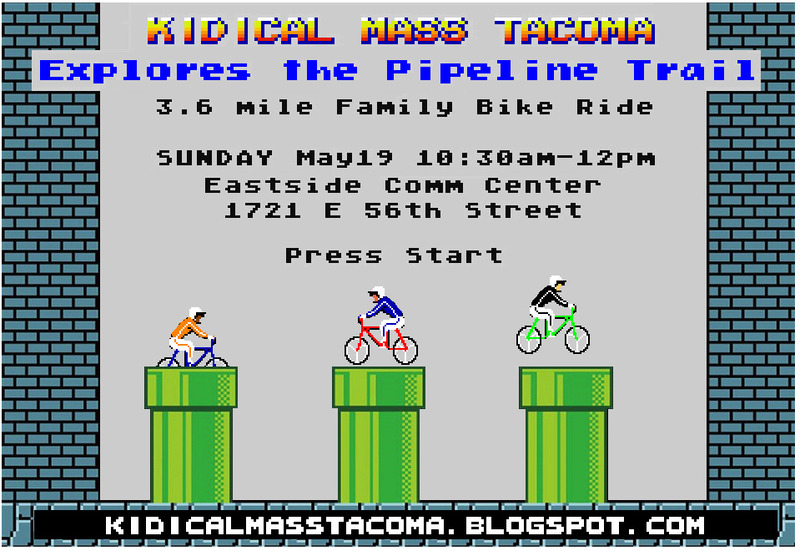 This event is sponsored by the Puyallup Watershed Initiative's Active Transportation Community of Interest and Tacoma Washington Bicycle Club. 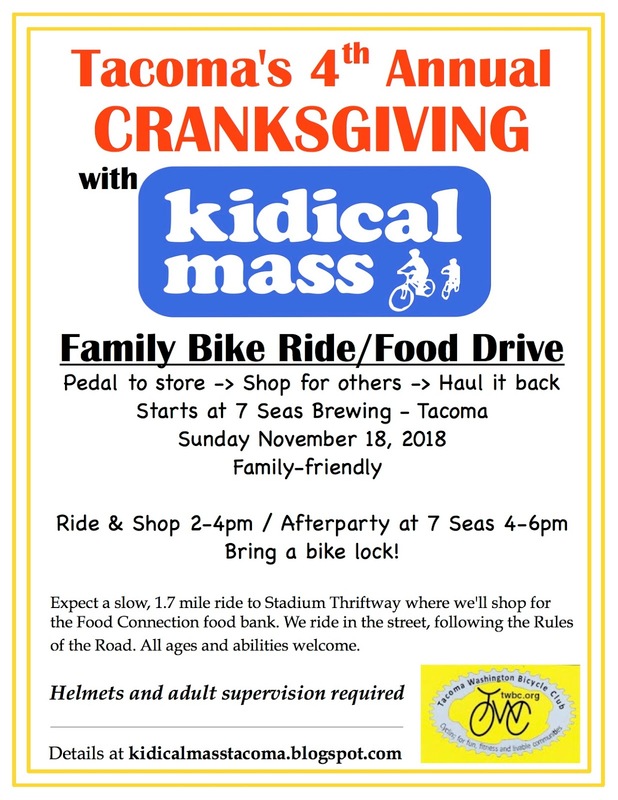 Join Kidical Mass Tacoma for our 4th Annual Cranksgiving family bike ride benefiting the St. Leo Food Connection food bank! Meet-up at the 7 Seas Taproom entrance around 1:30 pm. We'll roll-out at 2 pm, pedaling a 1.7 mile route to the Stadium Thriftway grocery store for a chance to try our hand at family shopping by bicycle. We ask that riders purchase a few items to donate to St. Leo Food Connection. 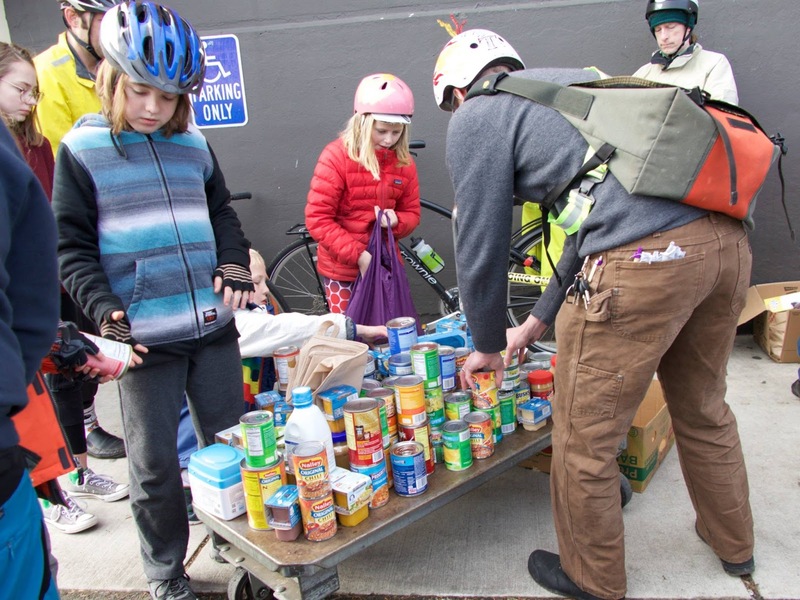 Be sure to bring along some way to haul your food items on your bike - backpack, basket, trailer, etc. After we shop, we'll pedal back to 7 Seas Brewing to collect our items and celebrate our biking and shopping skills. Cash donations will also be collected at this time and are used to purchase fresh produce for the food bank. FAQ: Do I have to shop at Stadium Thirftway? Nope. You are welcome to shop before the ride and bring items along if that's a better way to stretch your dollars (Costco and Cash'n'Carry have some good deals if you want to buy in bulk.) We've also marked other grocery stores on the map below if you'd like to take a more challenging ride while the kids pedal to Stadium. 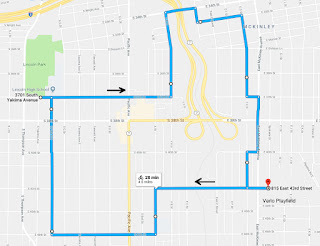 **Special Note: This route is not very long, but it is uphill getting to the store and downhill getting back to the 7 Seas. We've picked a more gradual route up and down the hill, but no push bikes or training wheels please. RSVP on Facebook or in the comments so we know you're planning to attend. 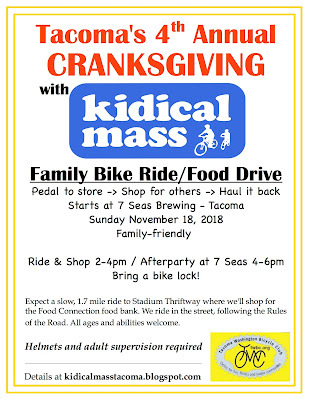 Many thanks to Tacoma Washington Bicycle Club and 7 Seas Brewing for helping with this event. Cheers! 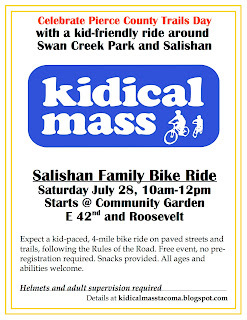 Kidical Mass is a monthly family bike ride series. We ride in the street and follow the Rules of the Road. We ride together, stopping to regroup when needed. All children must be accompanied by an adult and all riders should wear a helmet. On September 15, 2018, Kidical Mass rides will be held all over the country and world. We'll celebrate in Tacoma with a 4 mile loop around the Eastside from Verlo Playfield to Lincoln Park and back. 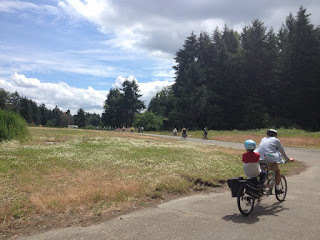 The ride departs Verlo Playfield (4321 East McKinley Avenue) in Tacoma at 10am. 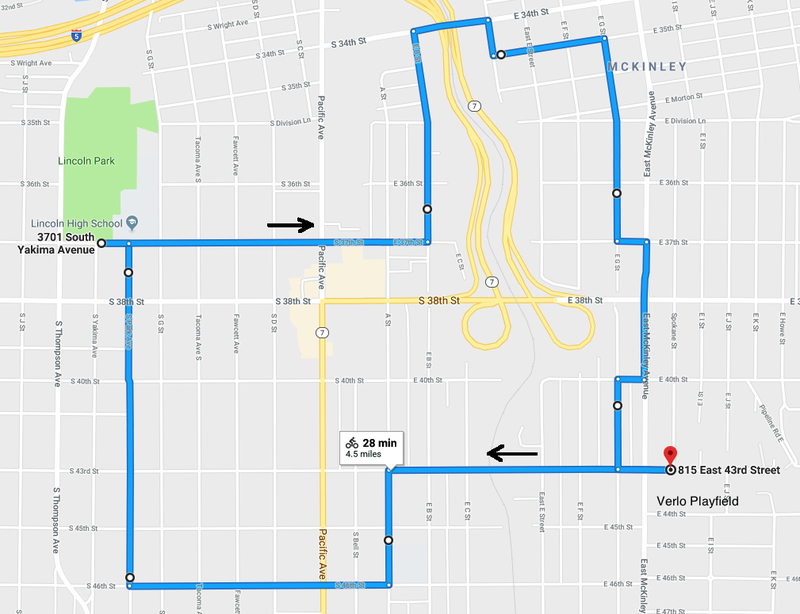 We'll pedal about 2 miles to Lincoln Park, play a bit, then pedal 2 miles back to Verlo. Plan on 1-1.5 hours for the whole ride. The Verlo sprayground will be open for an optional post-ride cool down and we'll provide frozen treats for all participants. There are bathrooms at both parks. 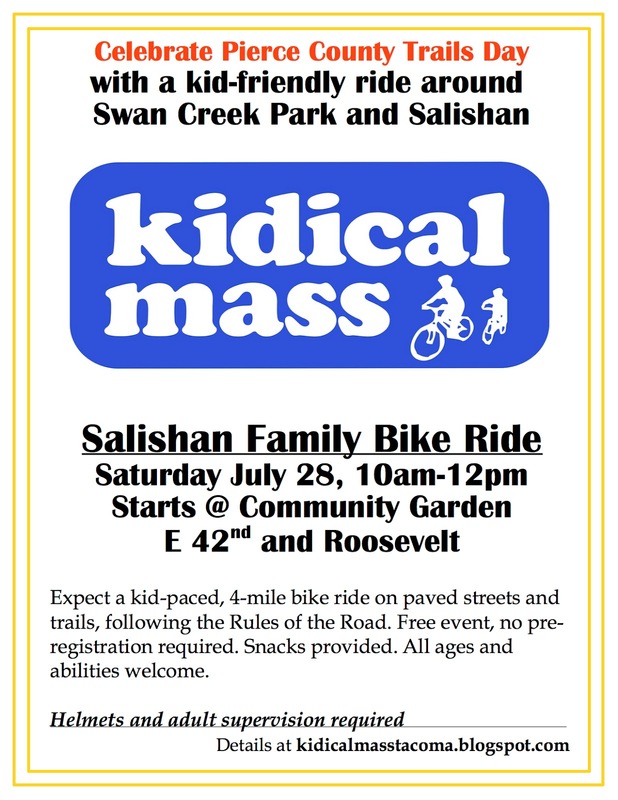 Kidical Mass is a group bike ride for kids and families, but everyone is welcome to ride along. As always, we will ride in the street following the Rules of the Road, stopping to regroup as needed so no one is left behind. Helmets and adult supervision are required. RSVP on Facebook or comment below so we know how much ice cream to bring! Thanks again to Tacoma Washington Bicycle Club and the Puyallup Watershed Initiative for sponsoring these events. 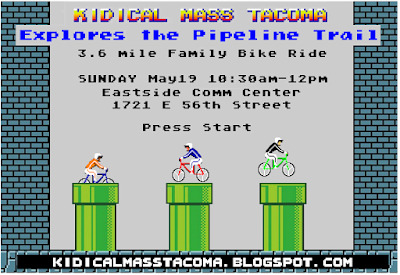 Kidical Mass Tacoma is a monthly bike ride for kids, families and kids-at-heart. We ride in the street and follow the Rules of the Road, stopping to regroup so no one gets lost or left behind. Helmets and adult supervision are required. Everyone is welcome. 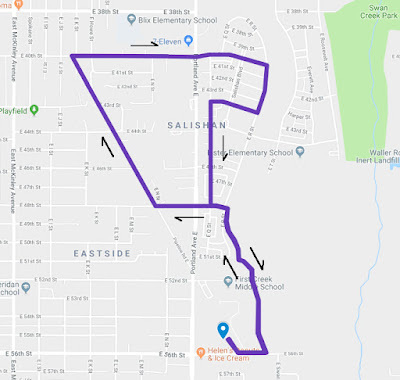 On July 28 we'll be celebrating Pierce County Trails Day by exploring the Salishan neighborhood, Pipeline Trail, and trails of Swan Creek Park. We'll scope out the nearly-completed Eastside Community Center and learn about upcoming development of the Pipeline Trail. 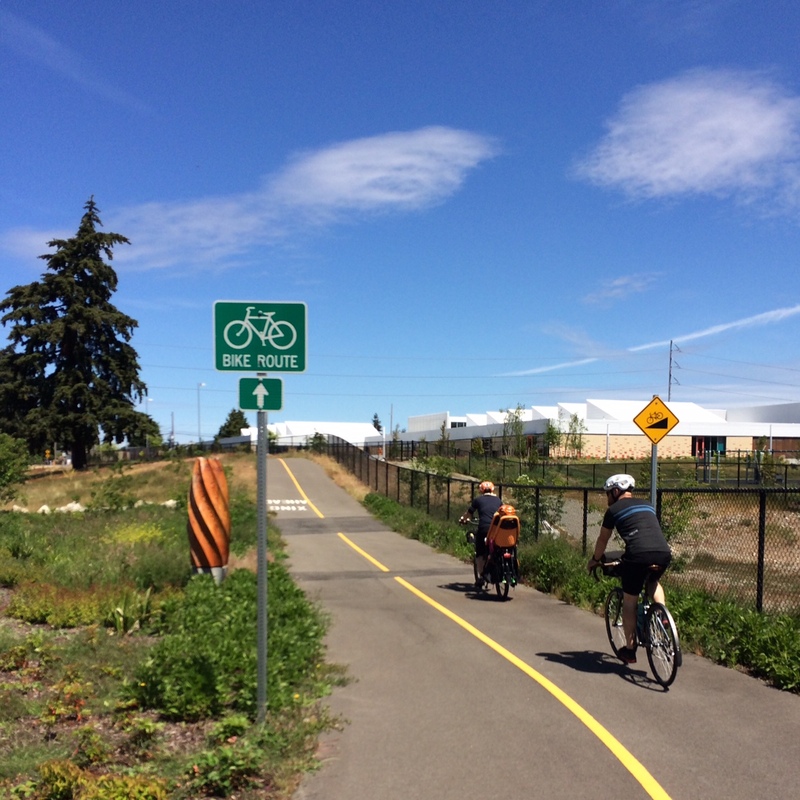 The ride will start at the Swan Creek Park Community Garden at E 42nd and Roosevelt in Tacoma. This is a free event and no preregistration is required. Snacks will be provided (RSVP on FB so we know what to bring!) 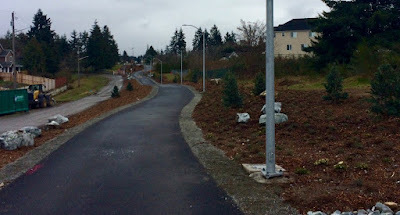 Expect a slow, 4-mile bike ride on paved streets and trails. There are some optional dirt trails as well. Portapotties and water access are located at the community garden parking lot. For additional information, contact Matt 253-209-4032 or leave comments below. Download and share this flyer! 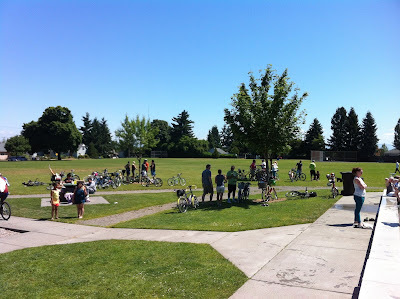 In an attempt to host more rides in more corners of Tacoma, we are looking for more pedal parents to help plan, promote, and lead family bikes rides. If you are interested, please email Matt (kidicalmasstacoma <at> gmail <dot> com) so we can find a time in June to host a planning session. Thanks!